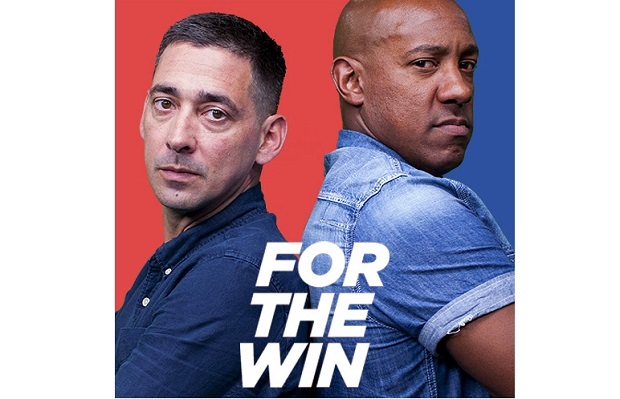 Ahead of the Premier League kick off this weekend, Yahoo Sport is launching online football series “For The Win”, hosted by sports presenter Colin Murray and former Man U. and Aston Villa striker Dion Dublin. The free, ad-funded will feature previews, player ratings and fantasy football picks for the 2017/18 Premier League season. The 20 minute show will run on Yahoo Sport UK, providing fans with expert insight on the big games of the top flight. The first show will air on Friday 11th August, hours before Arsenal and Leicester kick the first ball of the new season. The series will engage with Oath’s community of football-mad users across its portfolio of brands which include Yahoo, AOL, HuffPost, MAKERS and Engadget. The show is the first series greenlit in the UK since Yahoo was acquired by Verizon and joined AOL to become Oath. The series bolsters Oath’s commitment to creating inspiring and entertaining content for its passionate and engaged community of users across its portfolio of brands, which include Yahoo, AOL, HuffPost, MAKERS and Engadget. For the Win will be promoted through premium editorial and marketing, as well as engaging social content and is available for sponsorship on a full season or per-episode basis. Other sponsorship opportunities include product placement, one-off specials and spin-off series. As a lifelong Liverpool fan and passionate sports journalist, Murray will draw on his experience with Match of the Day 2, BBC Radio 5 Live and TalkSport to host the series. Murray will be joined by ex-England, Manchester United and Aston Villa legend Dion Dublin, who brings unique insights from his experience as a prolific striker, as well as his work on Match of the Day 2 and Football Focus. Each week the hosts will be joined by a special guest from the world of football or entertainment, to provide an alternative view of the week’s biggest action and upcoming fixtures. The show’s expert analysis and match predictions will give keen fantasy footballers additional insight when it comes to making their all-important weekend picks.